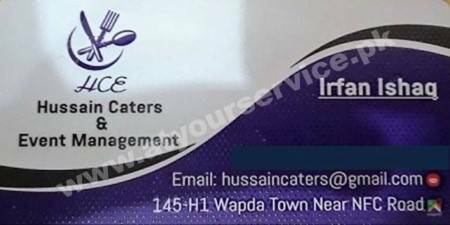 Hussain Caterers & Event Management is located in Block H1, Wapda Town, Lahore. We provide all kind of catering services for all your important occasions. We also provide event management services.